A new cultural centre Gaelaras Mhic Ardghail has been opened and will now serve the people of South Down with a rich diversity of Irish culture. 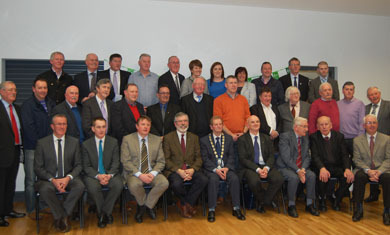 The new Irish centre has been opened up for the Newry and Mourne area. Welcoming the development at the official opening, South Down MLA Caitriona Ruane said: “I would encourage everyone whether they are Irish language enthusiasts or not to pay a visit to the new centre and experience the rich culture that is on show. “As an Irish language speaker myself I am delighted that the Newry and Mourne area now has a centre from which to focus Irish culture. “The centre is more than just a place to learn Irish as music, poetry, dance and drama will all feature as well as a place to come along and engage with friends. “The Irish language is in the midst of a popular revival right across the island as Liofa has shown and this centre will help that revival by providing classes and guidance to learners. “I am also delighted that the centre will cooperate with local Irish schools and with Irish classes in English speaking schools to encourage children maximise their use of Irish”, added Ms Ruane.